Aspen trees growing along the side of the Bierstadt Moraine in Rocky Mountain National Park show off their fall color. 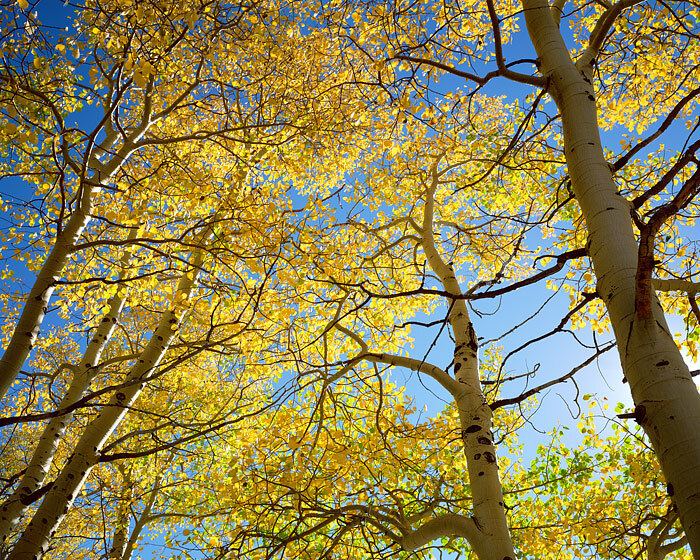 With a cobalt blue Colorado sky as a backdrop, the golden leaves of fall aspen trees shine and glimmer. Aspen trees in Rocky Mountain National Park typically peak the last few weeks of September. The fall color display comes early to this area of Rocky Mountain National park but can make for some spectacular photography. Photo © copyright by Thomas Mangan.